If you got here by way of a webring, click the Blue Rose below to enter the Dark Side of Ambrosia. ....Horror and Halloween search engine.....dark art, vampyres, music, magick and lots more. 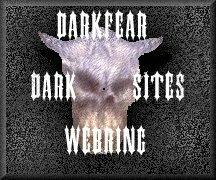 ....Another wonderful horror and gothic search engine.....lots of stuff here. Disclaimer: Some of the links here are to webrings and search engines that may contain adult-oriented websites. These may be offensive to some people, and are not suitable for children. Please use caution when accessing these sites.